Create recesses where possible – they are a real must-have because they’re great for storage and give the impression of a bigger room. Be smart with your design and consider using products with curves to give you a bit more space to get around them. Smoother lines give a more feminine touch to a room as well. 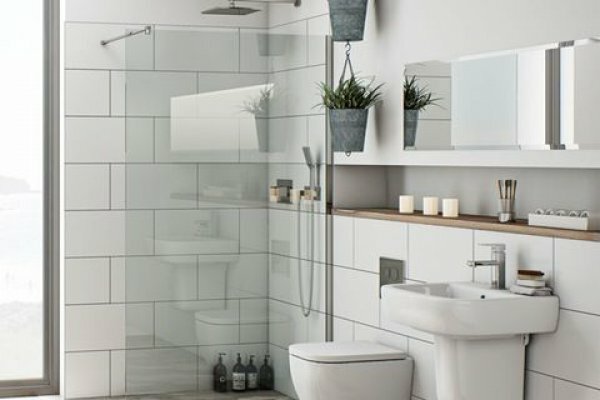 Wall-hung products such as basins or toilets (see Duravit for examples) will also maximise your space in the room and are also practical when it comes to cleaning the flooring. 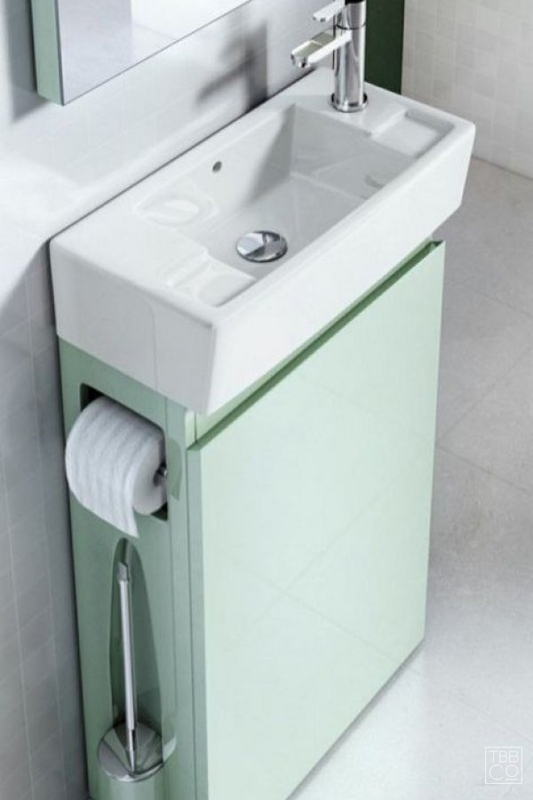 Dansani also do smaller-sized vanity units. 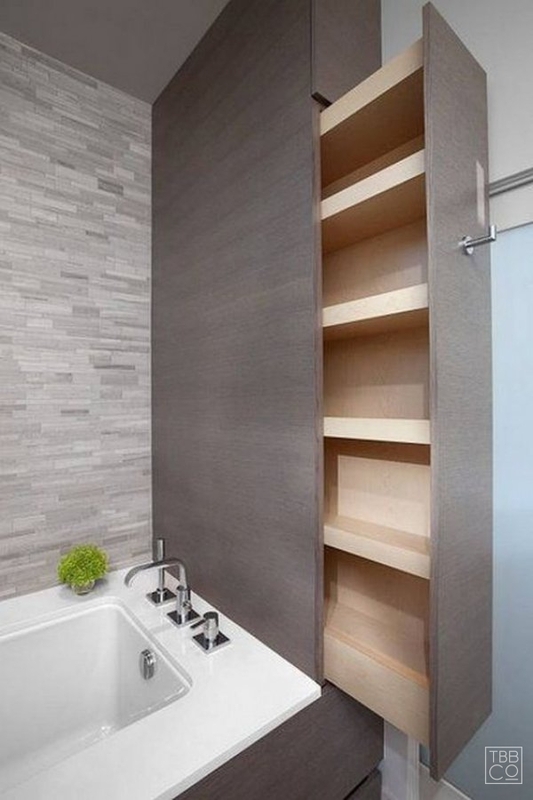 Hidden Storage can be created within a stud wall to help store your cosmetics, bath products or even cleaning supplies. 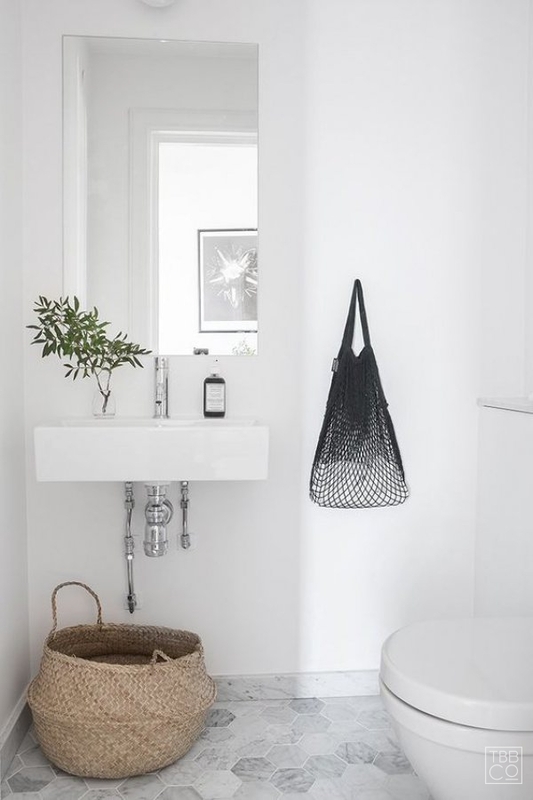 Using light pale colours and reflective surfaces such as mirrors are a great trick for opening up a small space. Capturing natural light and incorporating mood lighting into a scheme will also make it feel more generous. Baths can take up a lot of room so if you prefer showers and can live without one, it’s something to consider. Without a bath and with a shower that has a frameless glass panel, your bathroom will feel much more spacious. The door arrangement within this type of system can either be fixed in place, hinged to swing or even fold back, also achieving more room. Reference Merlyn Showering for inspiration. 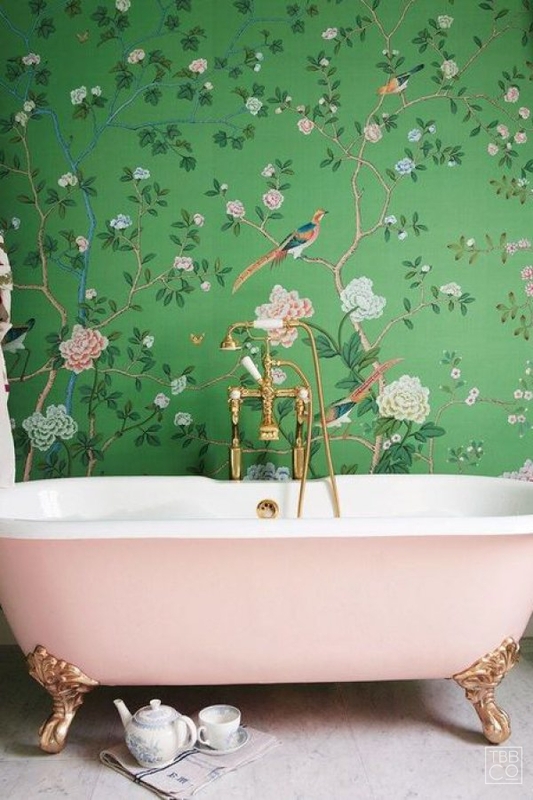 We’re huge fans of using wallpaper in bathrooms because of the impact it creates. Plus, small spaces are always a good place to start with if you’ve been itching to experiment with wallpaper, injecting colour, pattern and/or texture to your room. 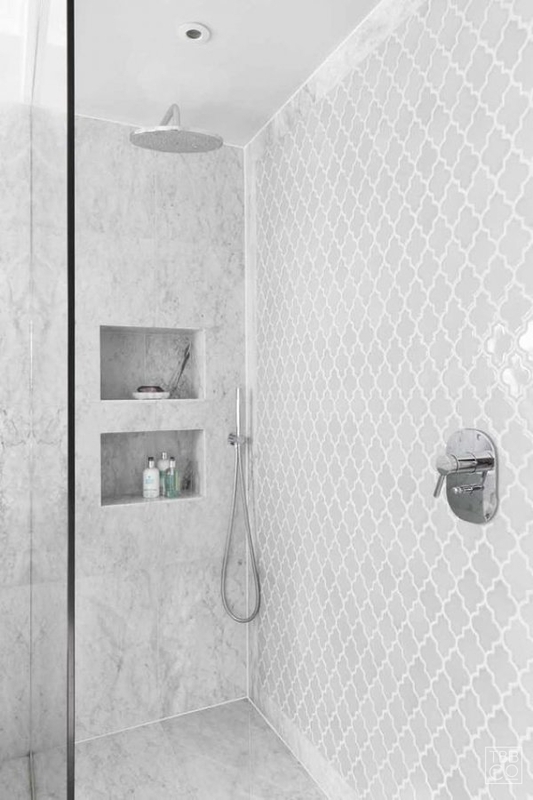 Combine your shower and bath into one space to get double the use – such an easy top tip this one! 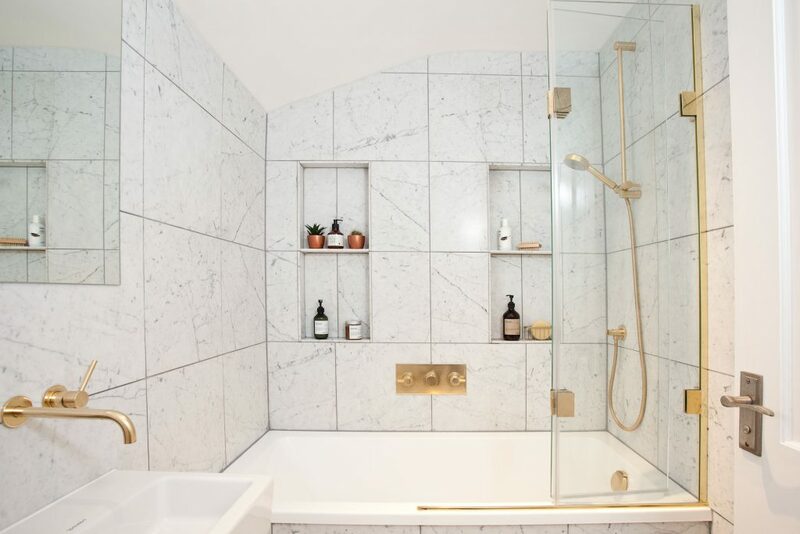 This bathroom in Brighton is such an elegant example of how to pull off this layout, with it’s brushed gold fittings. See our pinterest board for more inspiration and examples.